I’d go for it…as a consistent gym goer I think gym memberships ARE worth it. Yes, you CAN get in shape by just running or biking outside. You can do strength training at home with cheap workout videos or body weight resistance exercises. BUT, a gym membership offers you the variety of very expensive machines that the average person can not afford nor store at their home. I also find that going to a gym provides me the motivation to get a better workout. If working out is something you want to make a priority, and you can afford it, I’d go for it! Good point, I definitely go for the cheaper equipment at home and it ends up frustrating me as well as the lack of options. 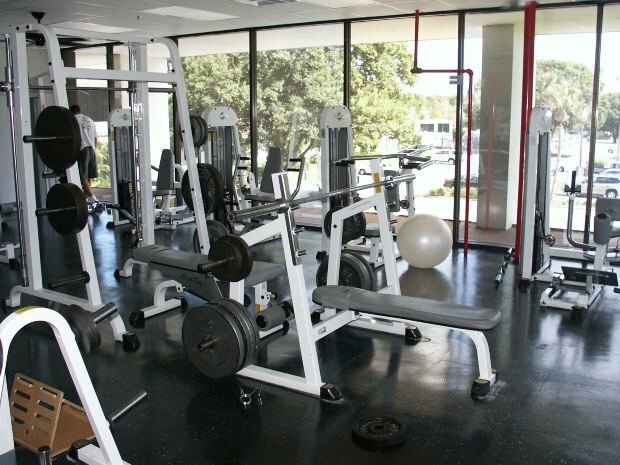 Go for the 5 minute gym – and I say that as someone who hasn’t joined a gym since one was provided in college (half a room here is dedicated to a gym). If it was just cardio, I’d suggest trying to motivate yourself to do it at home… but like you said, machines and weights are in your future. Consider me a gym vote – at least for the close one. Yes, at this point it’s the close one or none. The further one is off the table. I re-joined a gym along with my wife as a way to lose some weight for our then upcoming wedding. Like you I’d had memberships before, and generally felt ok with paying out as long as I used them regularly (5+ days a week, even if it was just a relax after a long day in the steam room). We joined a health club attached to a hotel which is just under a mile away, so can walk or drive. Any more than that and I think I’d have given up by now as I really have a fine line between going and not. Once I’m there, I get the bug and can’t help myself from going. We’re now completely hooked and do classes, weights, cardio, pretty much something every day. I say go for it, its local, doing a morning workout definitely helps wake you up before work and gives you more energy and focus. However, if you find yourself slipping for more than a few weeks I’d cancel it. That doesn’t include if you have a couple of weeks off to just rest up. Sometimes it’s what you need to let your body recover. Good points. The 4 month membership would be ideal because I would definitely know by that point if I was planning on staying committed. Thanks! Every time I buy a gym membership, I go for a few months and then stop going. I’m not getting suckered into it again. I prefer just to ride my bike around town for exercise. I think that’s why I want to shoot for the four month option and see how I then feel. I’m having this same internal dialogue. Ultimately, it’ll be yes. If I can spend $100/month on TV, I can spend $100/month on a gym. Yes, I recognize that the TV could be cut to pay for the gym. It sounds to me like you’ve given this a lot of thought. The $75 deal is a good one and if they do honor it after your trip, I’d give it a shot. Working out is extremely important and if you can find a gym you like as close as 5 minutes away, it will save you a bundle in health care costs down the road. Good luck! I always found gym memberships to be a bit funny. The truth is, over 80% of people that pay for them use them once a week or less. And Michael, the truth is, chances are, you can find places to work out for free. Not to mention, unless you’re looking to get buff, you can work out from home to maintain your happy weight and your health. All you need to do is look up at-home workouts. Until I did, I would have never guessed that there were so many and that you could really be effective with a little drive. Anyway, I’d love to see you in the conversation over at CNA, would you mind stopping by and sharing your thoughts? I think the gym 5 minutes from your place sounds great, and the $75 deal seems like a good way to try it out. We actually pay for 2 different gyms (one for both of us, then another just for my yoga), altogether ~$73/month, but absolutely worth every penny. We really do use them all the time. Using them and doing so over the long term is the key to making it worth it. There’s very little middle ground, I’d think, when it comes to gym memberships. If you use them, you make out, if you don’t, the gym makes out. I was an avid gym member! I used it all the time and loved it. I never spent very much, usually less than $100 per year. I would go over lunch near work and often on the weekends. About 15 years ago, I created a home gym. I have a treadmill, weight cage, free weights, dumbbells stationary bike (stand) and bicycle. I use my bicycle 2-6 times a week and lift weights too. All the equipment cost less than $1,000 including the bicycle. Interesting. What has been your experience with upkeep and repairs over that time? Since you can buy a short term membership for pretty cheap it is worth giving it a shot. I signed a two year contract to a gym that was right across the street from me and I used the membership a lot. Now, I live about 20 minutes from the nearest branch of the gym and am paying for a membership that I rarely use. Yeah, I guess you sort of have to look at it as a sunk cost once you pay for it. Anything longer than a year seems a pretty big risk. I’ve never had a gym membership and never plan to get one. I like to workout at home and by running the neighborhood. I find that it’s easier to commit if I just do it, instead of having to go somewhere to do it. I say go for the gym membership. It sounds like you keep yourself in pretty good physical shape but need that extra push sometimes. If you keep telling yourself that you have to go to the gym because you are paying for it… it might motivate you to go and use it. Money as a motivator, you know me very well. Lol! I know a lot of people talk about not paying for a gym membership but for some people its worth it. I have a friend who signed up for Crossfit. I thought they were nuts paying 150$ per month. Few months later they are down 70lbs and looking better and feeling great. Do what works for you so if 4 month membership works for you go for it. See how things go and some times its worth spending the money. Good luck! I’ve heard of people spending more because they get the personalized attention and access to more classes and such. If it works, then the extra money is well worth it. I think for me the beginning category with the basics is just fine as that’s all I’m really looking for. I belong to a gym. It only costs me $22/month and it has everything I need. I know lots of people will say you don’t need a gym membership but if you can afford it, and you’ll use it, then why not? One of the things I’m not willing to be as frugal about is health. I still get my memberships off groupon (since of my wonky school/work schedule I’m never in one place for too long) and/or my school gym which is relatively inexpensive. But I still get the memberships. Make sure you want to actually go to the gym, it’s worth it as long as you go. It’s people that are deciding in January that it’s their new years resolution are the ones less likely to go. 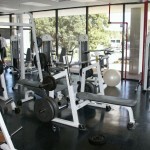 If you enjoy working out in a gym, for hevvinsake go for it! If you use it, a gym membership will pay for itself over and over in health and mental wellness benefits. I would certainly go for it, especially if working out at home isn’t happening. I get too distracted or get asked to do something else if I try to do much at home. There’s definitely the distraction element as well!